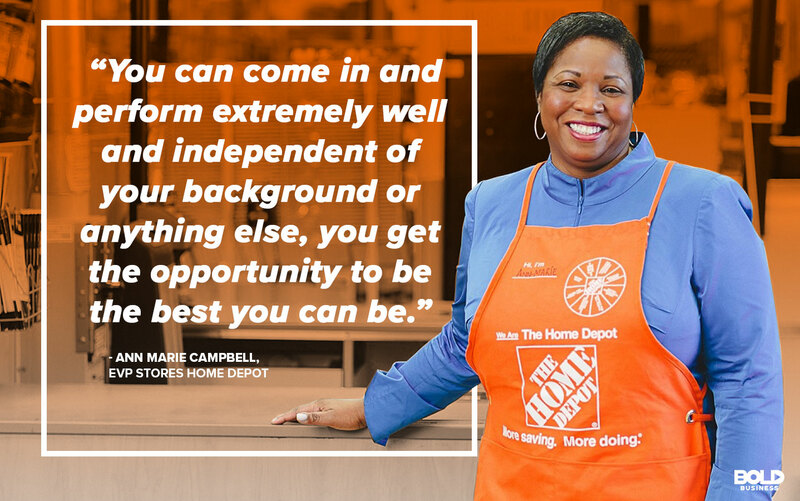 Bold Leader Spotlight: Ann-Marie Campbell of Home Depot Inc. 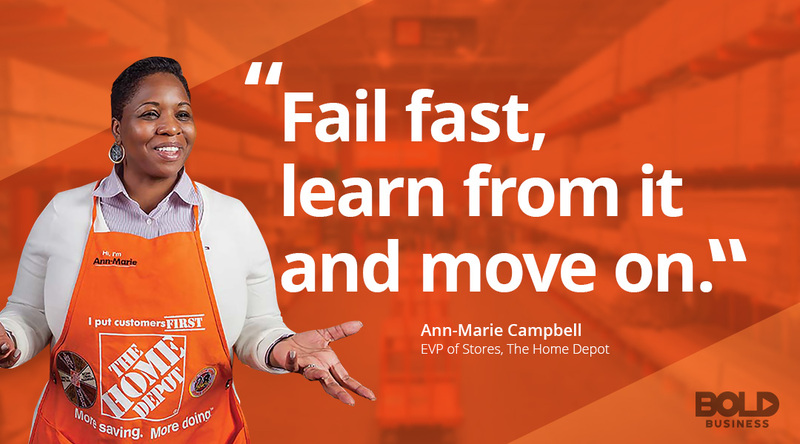 Bold Leader Spotlight: Ann-Marie Campbell, EVP Stores for the Home Depot Inc. Leadership talent is sometimes found in the most unsuspecting places, and often, it may even go unnoticed. Fortunately, that was not the Home Depot Inc. boss Lynn Martin’s mindset when he came across part-time cashier Ann-Marie Campbell in 1989. Something about Campbell piqued his interest in her bold leadership. So he took it upon himself to serve as her mentor. Fast-forward thirty years later. Ann-Marie Campbell is now Home Depot’s Executive Vice President for their U.S. stores, overseeing more than 2,000 stores and 400,000 employees and 90 percent of the company’s revenues. She is regarded as one of the world’s most successful businesswomen. And at the same time, she continues to embrace the same bold leadership that recognized her talents several decades earlier. From championing change and diversity to showing confidence in others to empowering others to succeed, Campbell embodies many traits that make a bold leader. Campbell worked as a cashier in the North Miami Beach store in 1985 to help support her education. A Jamaican immigrant with little but a belief in herself, she was determined to succeed. However, she likely never expected to become a central figure in the Home Depot leadership team. With encouragement from Martin, Campbell pursued opportunities in every area of the company, from operations to sales, to merchandising. Before long, she found herself moving from department manager all the way to regional vice president. With every advance in Home Depot leadership roles, Campbell continued to exceed expectations and showcase why she was a bold leader. Her big move came in 2009 when Home Depot leadership decided to make her president of its southern division. Campbell was now in charge of nearly 700 stores and 100,000 employees. Six years later, she was again promoted, this time to Executive Vice President of U.S. stores. She is now one of three women executives on the Home Depot leadership team. 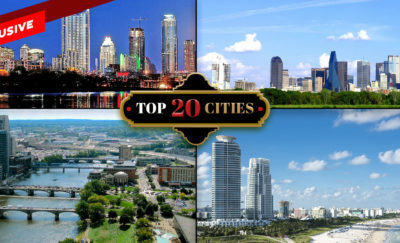 Additionally, the leader of retail stores is one of the most important positions in any retailer and the Home Depot is one of the worlds largest, making the complexity of her job one of the toughest in the industry. Not bad for someone who started out as a part-time cashier. What made Campbell so intriguing to Home Depot leadership executives? Interestingly, it’s the same things that make her a vital part of the Home Depot leadership team today. Above all else, Campbell believes in empowering others to succeed. Every time she performs a store walk-through, she is looking for opportunities to advance others. From one-on-one conversations to townhall meetings with associates, Campbell is constantly coaching. She understands firsthand what it’s like to serve in their roles, and she also appreciates their potential. Secondly, Campbell is a change leader. Not only is she unafraid to challenge the status quo, but she is quick to learn from failures. The retail industry is highly dynamic and currently exploring new ways to merge online and brick-and-mortar services. Campbell excels in this area and accounts for much of the Home Depot leadership success. Lastly, Campbell embraces diversity and inclusion. As a Jamaican-American female, she has had her own struggles in her career. As part of the Home Depot leadership team, she makes sure all associates know they are important and valued. She constantly encourages associates to ask for help, as she believes this to be an inclusionary tool. And she routinely tweets with workers and writes letters recognizing efforts of individual employees. Bold leaders can make societal impacts at a number of different levels. This is certainly the case for Campbell. Without question, her boldest social impact has been at an individual level. Through authenticity, she engages each associate at her stores with genuine interest and empathy. She awards recognition and appreciation for their efforts, and she empowers everyone to excel to their greatest potential. She is a notable reason why Home Depot’s market shares rose more than 500 percent over the last decade. But her bold leadership extends well beyond her Home Depot role. Campbell serves on the advisory board for Catalyst, a global nonprofit organization focused on empowering women in business. She is also a board member at J. Mack Robinson College of Business at Georgia State University, where she received her MBA. Campbell appreciates the importance of giving back. Through these efforts, Campbell has touched thousands of lives. 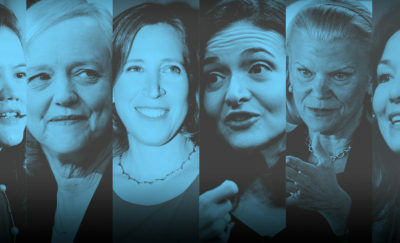 In the process, she has not only empowered a global corporation but has also advanced society one person at a time. And she has accomplished this by leading with humility, authenticity and strong personal values. These traits make Ann-Marie Campbell one of the boldest leaders today.